Sam Houston State University has recently received a substantial sum of money from the National Science Foundation to develop the PEERS Program - Peers Enhancing their Education through Research and Scholarship. The primary goal of the PEERS program is to increase the number of talented students majoring in biology, geology, geography, or the mathematical sciences through financial assistance. Those from groups traditionally underrepresented in the sciences and first-generation college students are especially encouraged to apply for this assistance. Many of the scholarships are specifically designed to assist talented students with financial need that wish to transfer to SHSU from a two-year college for the purpose of completing an undergraduate degree. Eligible students may be awarded a maximum of $5000 per year for up to two years, with the grant program lasting a minimum of 4 years. In addition to financial assistance, PEERS scholars will be provided a wealth of student development opportunities, including access to faculty and industry mentors, and career development workshops. The SHSU Departments of Biology, Geography & Geology, and Mathematics & Statistics would certainly appreciate any assistance that could be provided in helping us find qualified, interested students. We will begin accepting applications in January 2008, with an anticipated deadline of March 15, 2008. 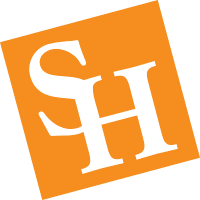 Â Transfer courses from your college to Sam Houston State University in each of the majors covered by the grant may be viewed by selecting you college from the list at https://www.shsu.edu/admissions/transfer/joint-admissions/. submit a satisfactory essay on the topic of his or her academic and career plans (as judged by the committee). be a continuing graduate student with 3.25/4.0 GPA or higher. Junior or seniors must be declared a major in one of the listed disciplines and a minor in another. Graduate students must be declared a mathematics, statistics, or biology major.